A cataract is a clouding of the normally clear lens inside of the eye. The lens helps to focus light onto the back of the eye. A cloudy lens can prevent light rays from reaching the back of the eye and can result in reduced vision. The degree of reduced vision depends on how much of the lens is affected by the cataract. Cataracts most commonly occur in adults, but occasionaly can occur at birth or during childhood. They may be inherited or can occur from disruption in the formation of the normal lens during pregnancy due to things like infections. A cataract may develop during childhood as the result of an eye injury or as part of a disease process that affects the rest of the body. Small cataracts may not affect vision at all and may not require treatment beyond observation. Other cataracts may have a moderate affect on vision and may be treated with glasses, patching, and/or eyedrops. Cataracts that severely affect vision require urgent surgery.  Cataract surgery in children is different from cataract surgery in adults due to the difference in anatomy and the fact that a child's visual system is still developing. Surgery in children is done under general anesthesia, but can often still be performed as an outpatient procedure, depending on the child's age. Microsurgical instruments are used under an operating microscope to remove the cloudy lens material. After the cloudy lens is removed, light rays are refocused on the back of the eyes with either contact lenses, glasses, or an intraocular lens.